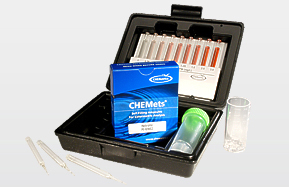 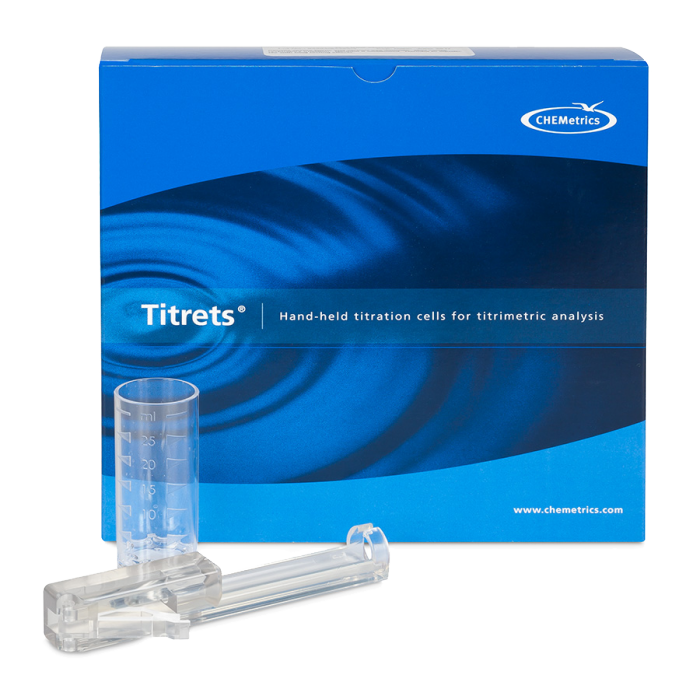 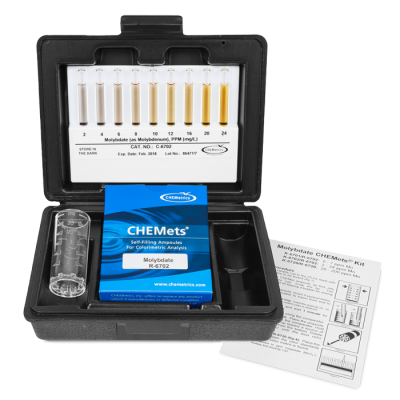 CHEMetrics Mercaptobenzothiazole (MBT) Test Kit - Osprey Scientific Inc.
Mercaptobenzothiazole (MBT) is formulated with various water treatment products to prevent corrosion of copper and copper-containing metals. 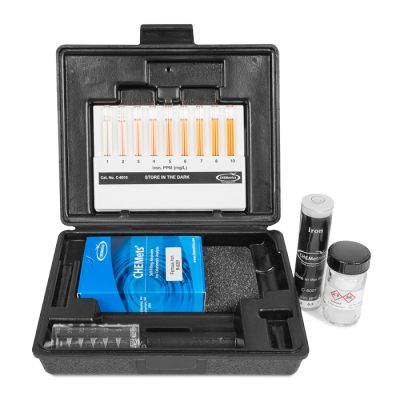 These tests are particularly well suited to the monitoring of closed-loop cooling water systems and utility condensers where high MBT concentrations are usually maintained. 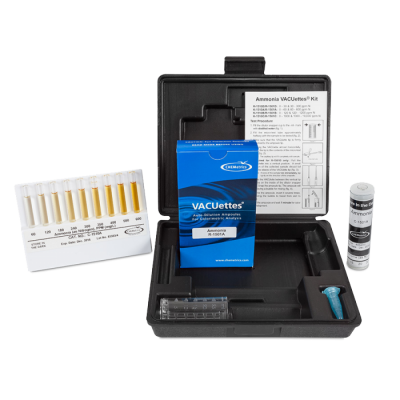 Kit comes in a cardboard box and contains everything needed to perform 30 tests: thirty ampoules with valve assemblies, titrettor, 25 mL sample cup, and instructions.